The most powerful piece of tax reform legislation has been passed by Congress in more than 30 years. The bill will affect the taxes of a large majority of taxpayers, but one thing to consider is that for the majority of people, the bill won’t affect your taxes for 2017, only the ones filed in 2018. These changes are due to the Tax Jobs and Cuts Act of 2017, signed into law by President Trump on December 22, 2017. These are the numbers for the tax year 2018 beginning January 1, 2018. 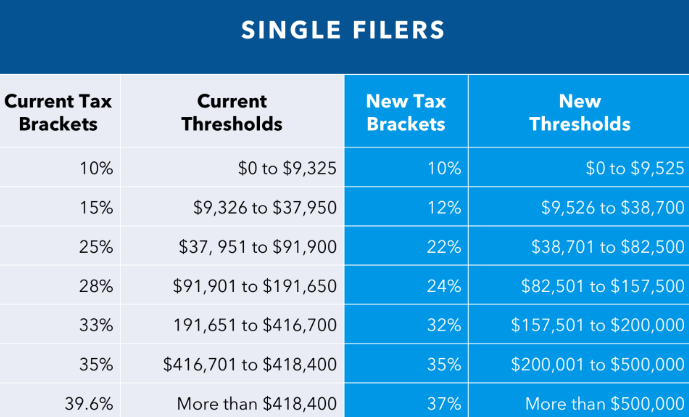 The BIG news is the tax brackets and tax rates for 2018. There are still seven (7) tax rates. but lowers a number of the tax rates. It also changes the income thresholds at which the rates apply. The new tax law doubles the standard deduction amount. Single taxpayers will see their standard deductions jump from $6,350 for 2017 taxes to $12,000 for 2018 taxes (the ones you file in 2019). There will be no personal exemption amounts for 2018. For individual taxpayers, you will be required to file a tax return if your gross income for the taxable year is more than the standard deduction. Married individuals filing jointly see an increase from $12,700 to $24,000. These increases mean that fewer people will have to itemize. Today, roughly 30% of taxpayers itemize. Under the new law, this percentage is expected to decrease. For married taxpayers, you will be required to file a tax return if your gross income, when combined with your spouse’s gross income, is more than the standard deduction for a joint return, provided that you and your spouse lived in the same home; your spouse does not file a separate tax return; and neither you nor your spouse is a dependent of another taxpayer who has income other than earned income in excess of $500 “indexed for inflation”. Families with children the Child Tax Credit is doubled from $1,000 per child to $2,000. In addition, the amount that is refundable grows from $1,100 to $1,400. The bill also adds a new, non-refundable credit of $500 for dependents other than children. 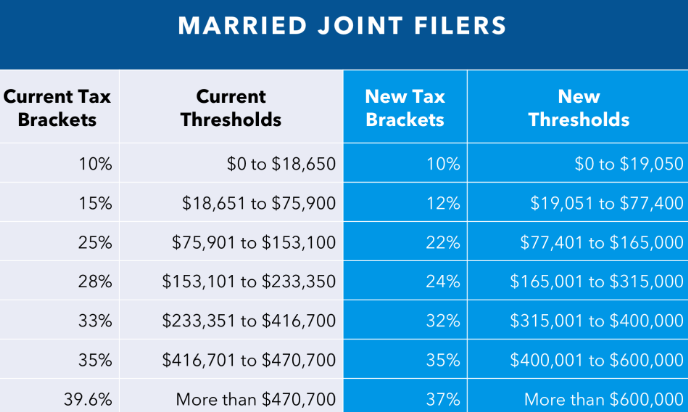 Finally, it raises the income threshold at which these benefits phase out from $110,000 for a married couple to $400,000. The bill eases the burden of the individual alternative minimum tax(AMT) by increasing the income exempted from $84,500 “adjusted for inflation” to $109,400 married filing together and from $54,300 “adjusted for inflation” to $70,300 for single taxpayers, so that means that fewer taxpayers will pay it. For 2018 the max Earned Income Tax Credit amount available is $6,431 for taxpayers filing jointly who have three or more qualifying children. Income phaseouts apply. For 2018 the credit allowed for an adopted child with special needs is $13,810, and the maximum credit allowed for other adoptions is the amount of qualified adoption expenses up to $13,810. Phaseouts apply beginning with modified adjusted gross income- “MAGI” in excess of $207,140 and completely phased out for taxpayers with MAGI of $247,140 or more. For 2018 the max-amount that you can deduct for paid interest on student loans is still $2,500. Phaseouts apply for taxpayers with MAGI in excess of $65,000 “$135,000 for joint returns” and is completely phased out for taxpayers with MAGI of $80,000 or more “$165,000 or more for joint returns”. The conference bill did not repeal the deduction. For tax year 2018, the foreign earned income exclusion is $103,900, up from $102,100 for tax year 2017. For 2018 a high-deductible health plan “HDHP” is one that, for participants who have self-only coverage in an MSA, has an annual deductible that is not less than $2,300 but not more than $3,450; for self-only coverage, the maximum out-of-pocket expense amount is $4,550. For 2018, HDHP means, for participants with family coverage, an annual deductible that is not less than $4,550 but not more than $6,850; for family coverage, the max out-of-pocket expense is $8,400. The “floor” for medical and dental expenses is 7.5%. That means that you can only deduct expenses which exceed 7.5% of your AGI. State and local sales deductions, income, and property taxes deducted on a Schedule A stay in place but have limitations. 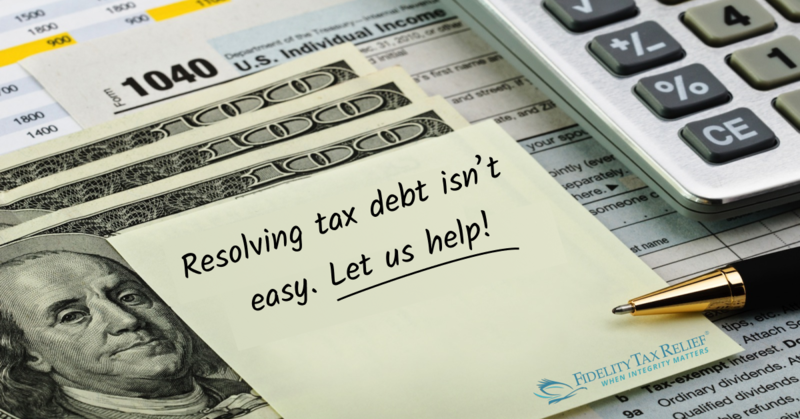 The amount that you are claiming for all state and local sales, income, and property taxes together may not exceed $10,000 ($5,000 for married taxpayers filing separately). Foreign real property taxes may not be deducted under this exception. Modifications have been done to the home mortgage interest deduction . You may only deduct interest on acquisition indebtedness – your mortgage used to buy, build or improve your home – up to $750,000 “$375,000 for married taxpayers filing separately”. For mortgages taken out before December 15, 2017, the limit is $1,000,000 “$500,000 for married taxpayers filing separately”. For more on mortgage interest under the new law. The percentage limit for charitable cash donations by an individual taxpayer to public charities and certain other organizations has increased from 50% to 60%. The deduction for personal casualty and theft losses is repealed except for those losses attributable to a federal disaster as declared by the President. Generally, this is meant to allow some relief for victims of Hurricanes Harvey, Irma, and Maria. Job Expenses and Miscellaneous Deductions subject to 2% floor. Miscellaneous deductions which exceed 2% of your A.G.I. have been eliminated. This includes deductions for un-reimbursed employee expenses and tax preparation expenses. To be clear it includes expenses that you incur in your job that are not reimbursed, like tools, supplies; required uniforms not suitable for ordinary wear. Subscriptions and job search expenses. A Settlement Officer will contact you immediately.